Carbon Fiber Sheets (Textured Sample Size) - .12"x4"x4"
Dimensions: 4"x4" Thickness: ~.12 inch, ~3/25 inch, ~3.1mm Finish: Textured for bonding (glos.. Carbon Fiber Sheets (textured) - .12"x12"x12"
Dimensions: 12"x12" Thickness: ~.09 inch, ~9/100 inch, ~2.4mm Finish: Textured for bondin.. Carbon Fiber Sheets (textured) - .12"x12"x24"
Dimensions: 12"x24" Thickness: ~.12 inch, ~3/25 inch, ~3.1mm Finish: Textured for bonding (gl.. Carbon Fiber Sheets (textured) - .12"x12"x36"
Dimensions: 12"x36" Thickness: ~.12 inch, ~3/25 inch, ~3.1mm Finish: Textured for bonding (gl.. Carbon Fiber Sheets (textured) - .12"x12"x48"
Dimensions: 12"x48" Thickness: ~.12 inch, ~3/25 inch, ~3.1mm Finish: Textured for bonding (gl.. Carbon Fiber Sheets (textured) - .12"x12"x60"
Dimensions: 12"x60" Thickness: ~.12 inch, ~3/25 inch, ~3.1mm Finish: Textured for bonding (gl.. 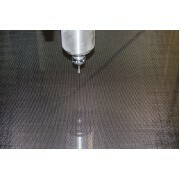 Carbon Fiber Sheets (textured) - .12"x24"x24"
Dimensions: 24"x24" Thickness: ~.12 inch, ~3/25 inch, ~3.1mm Finish: Textured for bonding (gl.. Carbon Fiber Sheets (textured) - .12"x24"x36"
Dimensions: 24"x36" Thickness: ~.12 inch, ~3/25 inch, ~3.1mm Finish: Textured for bonding (gl.. Carbon Fiber Sheets (textured) - .12"x24"x48"
Dimensions: 24"x48" Thickness: ~.12 inch, ~3/25 inch, ~3.1mm Finish: Textured for bonding (gl.. Carbon Fiber Sheets (textured) - .12"x24"x60"
Dimensions: 24"x60" Thickness: ~.12 inch, ~3/25 inch, ~3.1mm Finish: Textured for bonding (gl.. 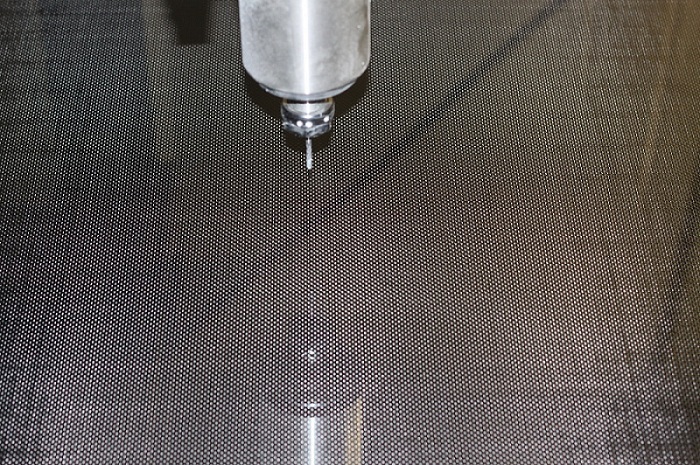 Carbon Fiber Sheets (textured) - .12"x36"x48"
Dimensions: 36"x48" Thickness: ~.12 inch, ~3/25 inch, ~3.1mm Finish: Textured for bonding (gl.. Carbon Fiber Sheets (textured) - .12"x48"x48"
Dimensions: 48"x48" Thickness: ~.12 inch, ~3/25 inch, ~3.1mm Finish: Textured for bonding (gl.. Carbon Fiber Sheets (textured) - .12"x48"x96"
Dimensions: 48"x96" Thickness: ~.12 inch, ~3/25 inch, ~3.1mm Finish: Textured for bonding (gl..